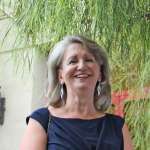 Eileen attended Sir George Williams University ( Concordia) in Montreal and studied art. 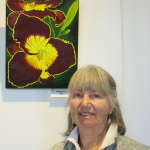 Rosalind mainly paints in watercolour, but has also dabbled in acrylic and alcohol ink painting as well. Painting as a hobby has created for me a greater interest in visiting galleries, meeting artists and the enjoyment of all art media. 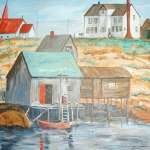 Ruth has been painting and teaching for over 57 years and she is continually taking courses to increase her knowledge of working with different materials. 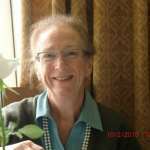 Oil painting was her first love but pottery, china painting, warm glass and jewellery have broadened her view of art. 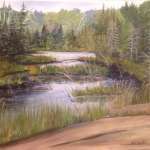 Lori has been painting for just over a year. 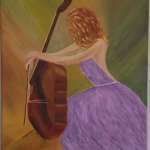 She loves to try new mediums and enjoys learning from the workshops. Art has always been a part of my life - from sketching as a child, dress designing on Spadina to currently working in oils, watercolour and acrylic. I have enjoyed some success as two annual magazines have published my art and this year one of my canvases won 3rd prize in THE ARTS ON MAIN competition. 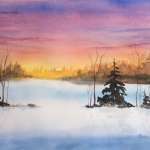 I'm currently the president of the SOUTH SIMCOE PALETTE CLUB and I hope to continue to improve in my work and explore and expand my experiences in painting. 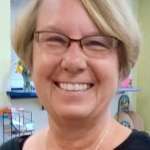 Janet is a local real estate agent who loves spending her free time painting! Watercolour with its brilliance and luminosity can produce the most sensitive and exciting moods imaginable. Watercolour washes and wet colour merging together produces for me a joy of creation. This ,however,is unlike anything Mother Nature has created, but I keep trying. Laura is an active member of the South Simcoe Palette Club and has arranged some fantastic outings for the members to explore art studios in the area. 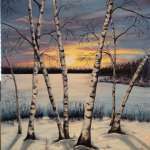 Grace loves spending her spare time painting in her small studio in Markdale On. Norma was always interested in the arts and once her 4 children went to school she took up painting. Kathryn Vandenheuvel is a returning member of the South Simcoe Palette Club. 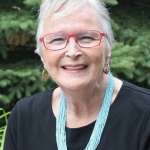 She took up watercolour painting as a way of meeting new people in the City of Guelph and found that she had a love for it and also had some talent. 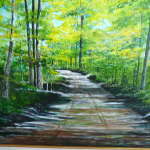 Membership in the South Simcoe Palette Club is $40 annually and it is due in September each year.